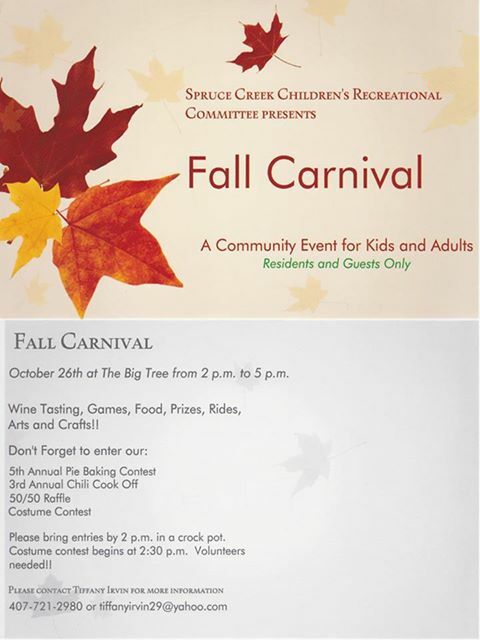 Come and join us for our Annual Fall Carnival for some fun great activities, music, food, drinks and raffles. Don't forget to dress up for the Costume Contest and to taste some chili and pie. This is our largest event & fundraiser for the Children's Recreation.